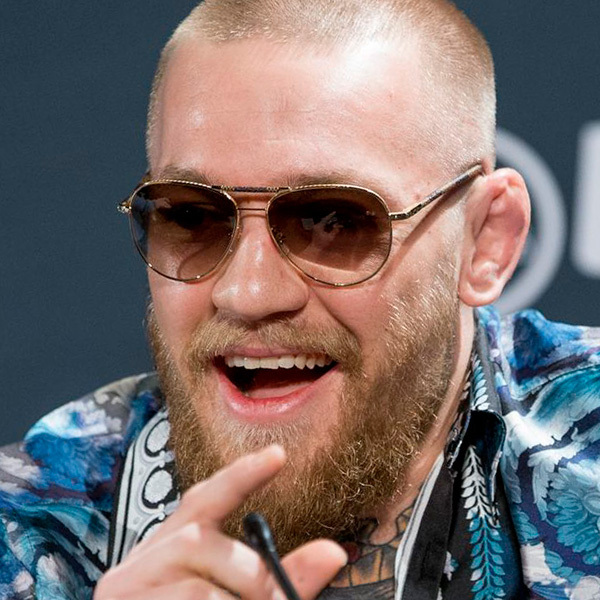 Martial artist Conor McGregor often can be spotted wearing glamorous sunglasses. One of these shades are his gold Louis Vuitton Conspiration Pilote Canvas Z0202U sunglasses, worn here (image on the left) in January 2016. The Louis Vuitton Conspiration Pilote Canvas Z0202U have a metal frame with acetate tips, Damier canvas on the nose bridge and arms, and trunk corner detail on the hinges and tips. Other sunglasses worn by McGregor are Louis Vuitton Attitude Pilote Z0339U, gold and black Dita Mach One and Ray-Ban Clubmaster.